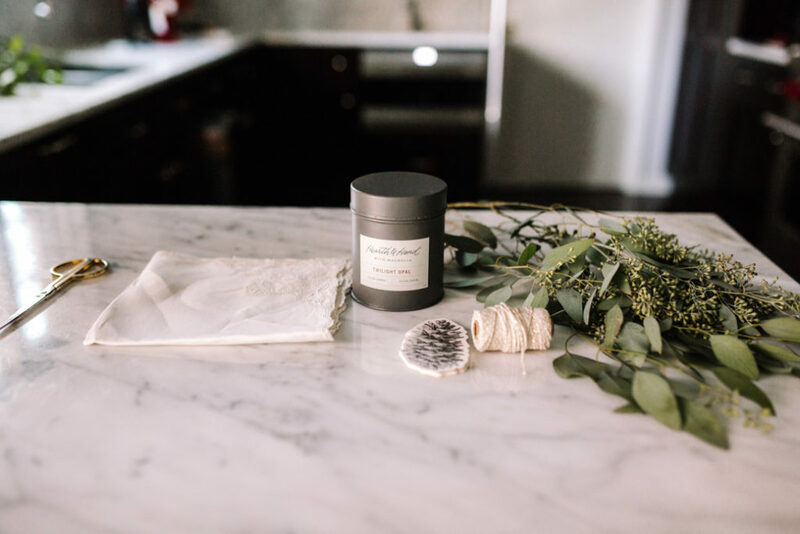 Whenever you are stuck coming up with a hostess gift to give, giving a candle is always a good idea! This also could not be more true for the holiday season. 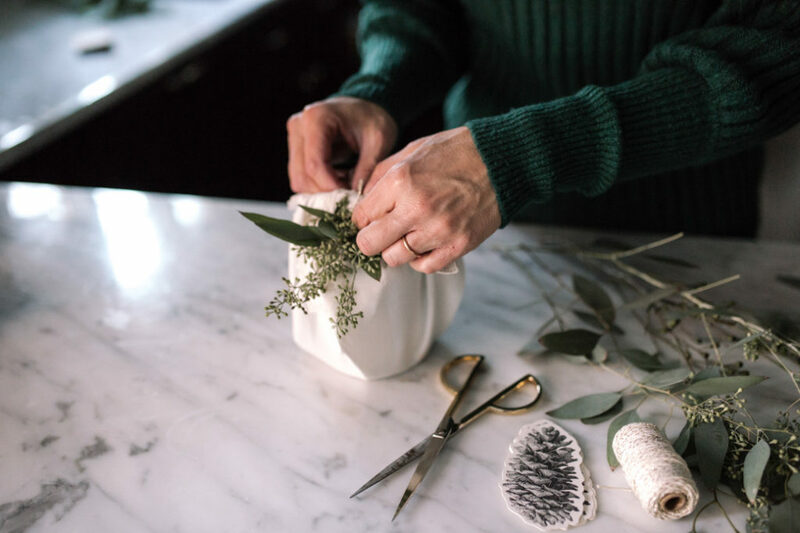 Events and the need for last minute gifts always seem to pop up rapidly this time of year. 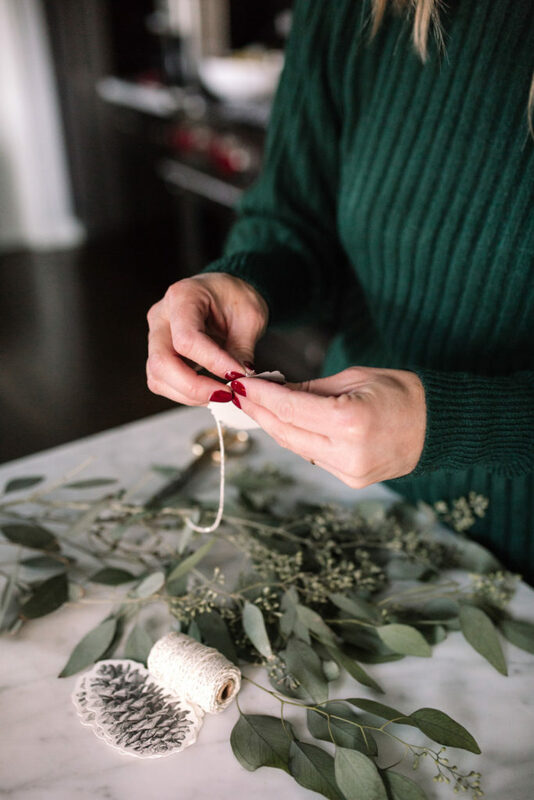 Having an assortment of holiday candles to have on hand when in a pinch or a rush, takes away the stress of running out last minute to find something. 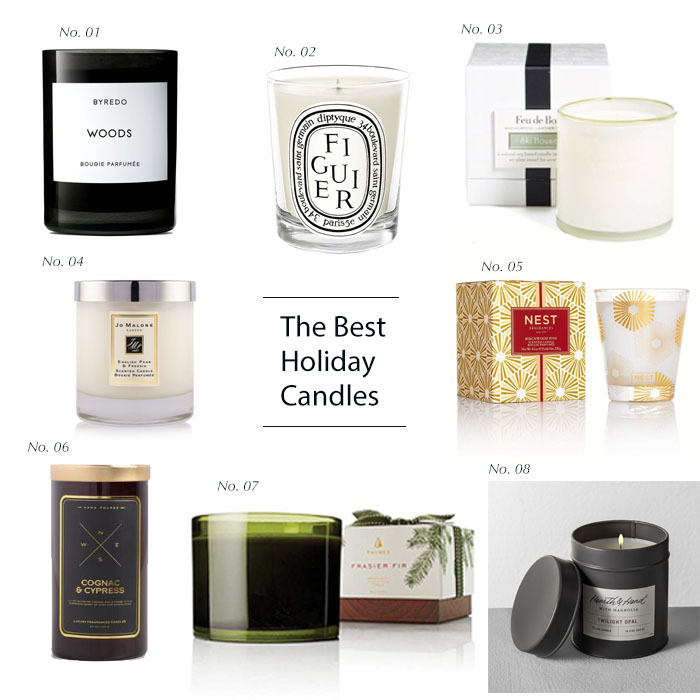 I am rounding up my favorite hostess worthy candles to give as gifts this season. Of course, these are perfect candles to add to your own home for setting forth the holiday spirit! And while scents I know can be personal, I have or have smelled each of these and they are so easy to fall in love with for the holidays! Not every candle you purchase comes with its own box, making it a challenge to wrap. 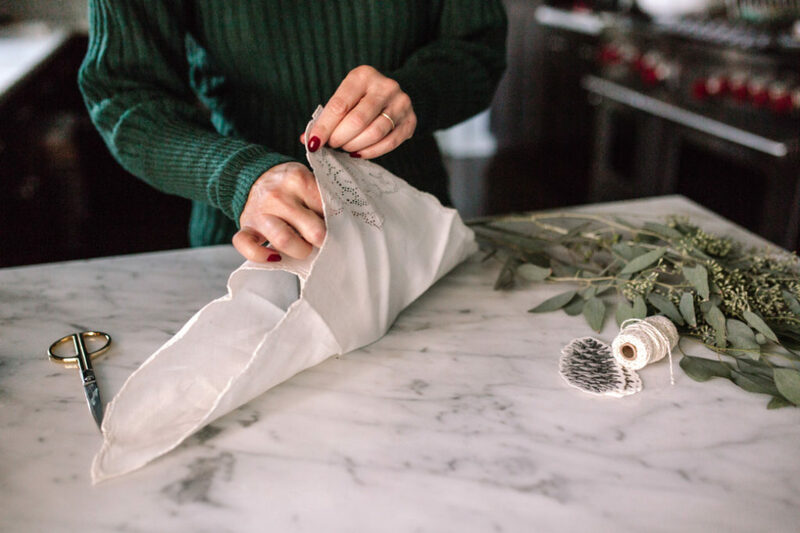 Sure you can drop it in a gift bag with tissue but if you would like to wrap it a little more creatively and personally, I love the idea of using white linen and fresh eucalyptus. 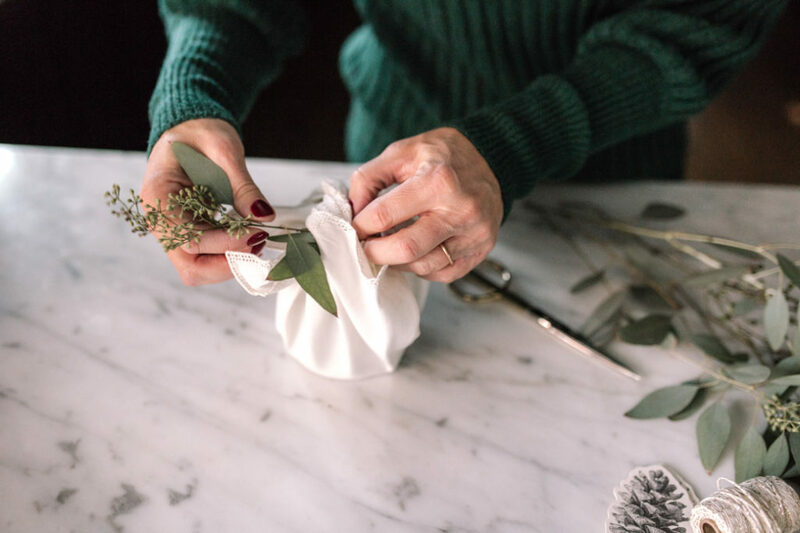 Vintage linen, monogrammed linen and linen with fringe are all great options for wrapping a candle. Personally I love white but black would work beautifully too! 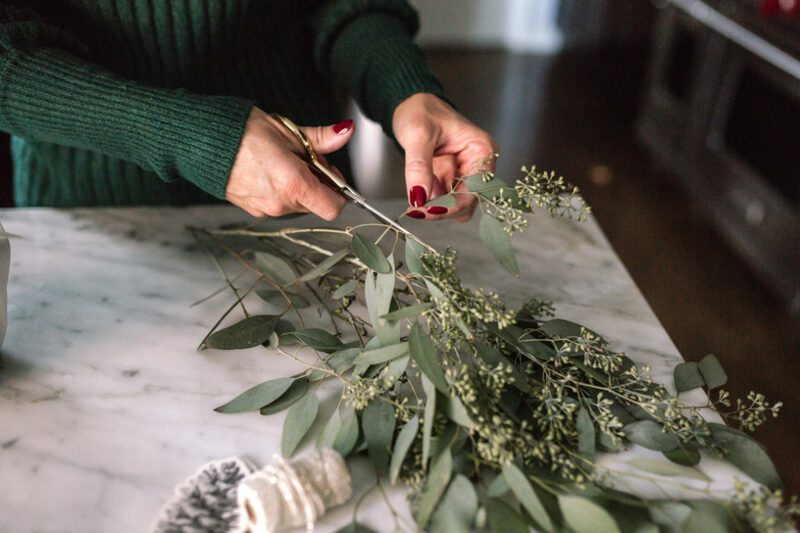 Adding a touch of winter greens, eucalyptus leaves or winter berries makes this holiday ready! Place candle in center of linen. Take two sides and fold over the candle. Take the two remaining ends and tie at the top. Cut a piece of fresh eucalyptus (Trader Joe’s always has this in stock) and insert in between the tie at top. Voila! 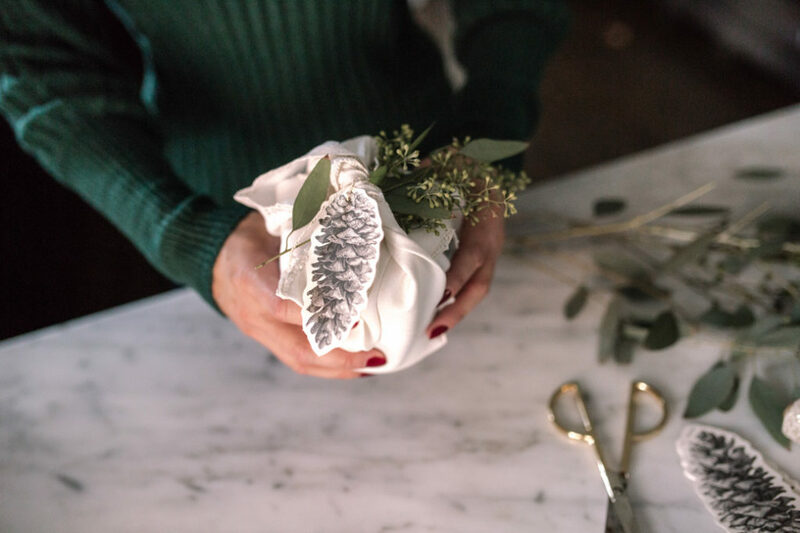 A pretty presentation of your gift giving!